Sharks are among the most persecuted animals on Earth. 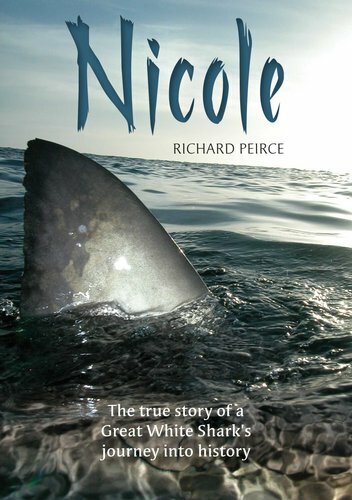 Nicole’s block-buster story lifts the lid on the shocking details of the trade in shark fins, and raises awareness of the plight of sharks in the 21st century. In November 2003 a female Great White Shark was tagged near Dyer Island in South Africa. Her tag popped up in February 2004, just south of Western Australia. The shark, later to be named Nicole (after shark enthusiast Nicole Kidman), had swum an epic 11,000 km. Scientists were even more surprised when she was identified back in South Africa in August 2004 – she had covered 22,000 km in less than nine months, using pinpoint navigation both ways. Since then, many Great Whites have been tagged and have shown a propensity for undertaking long migrations – but none has yet matched Nicole's amazing feat. This story incorporates a blend of science, actual events and real people, along with conjecture as to what might have happened on Nicole's momentous journey.